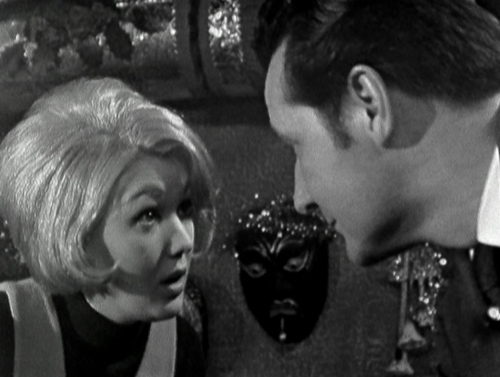 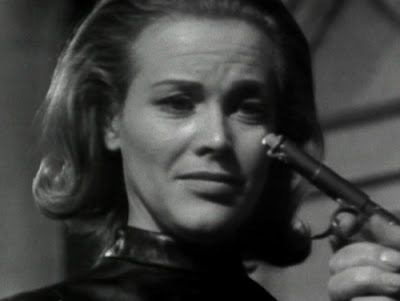 Bill Bain directs a Roger Marshall teleplay for his second funereally-themed episode of the season, and if the title conjures anticipation of occult occurrences along the lines of Warlock, Mandrake’s probably a bit of a disappointment on that level. 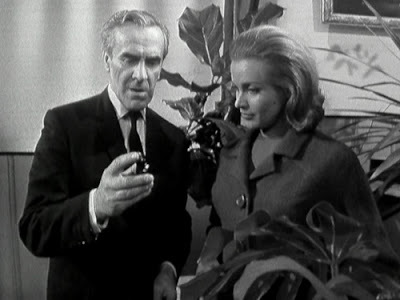 What it does well is set up the soon-to-be-familiar device found later, of dastardly goings-on in an innocuous rural setting. 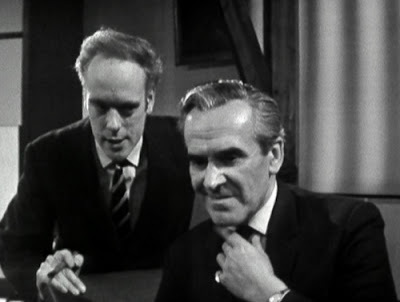 Likewise, it shows off a plan from the villains that is, actually, quite smart in terms of avoiding being fingered for the crime, if less so in expecting their ruse to get very far, cumulatively. 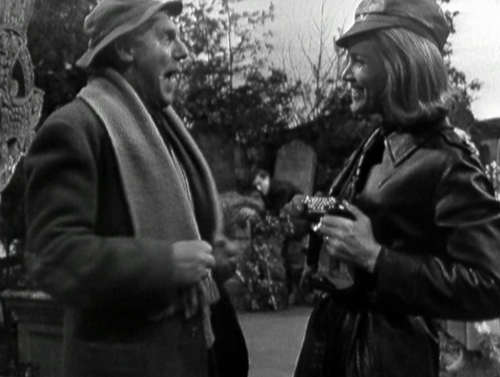 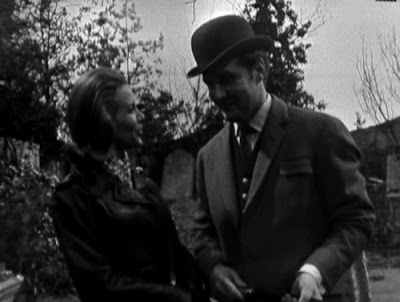 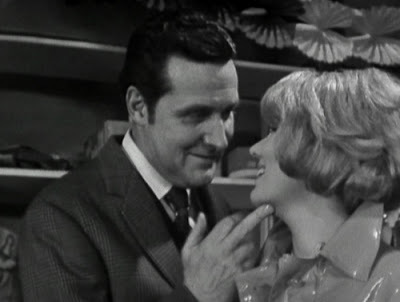 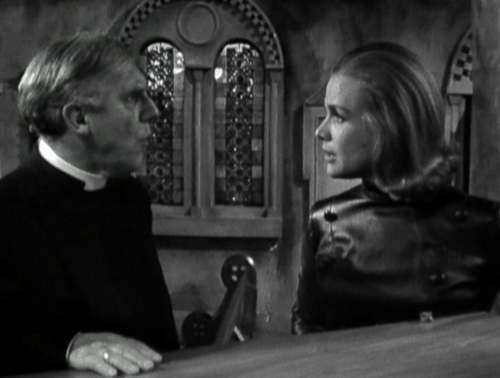 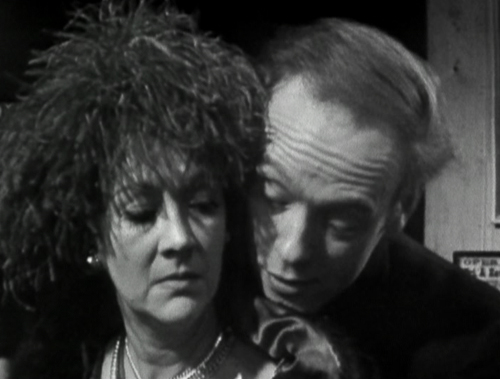 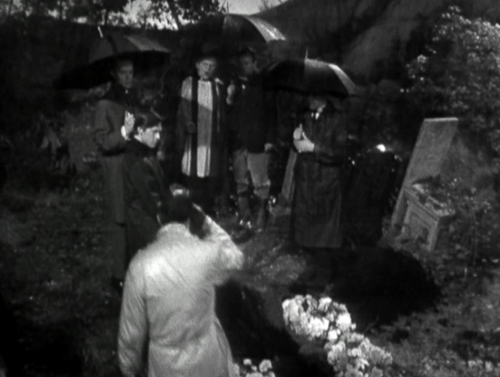 Since the bounders are packing all their London-based murder victims (the deed arranged with family members) off to the small Cornish ghost village of Tinby, it’s only a surprise that the ever-burgeoning graveyard (thanks to a reliably dotty vicar) hasn’t been rumbled prior to Steed and Mrs Gale getting involved. But the idea of poisoning the victims and then interring them in arsenic-rich soil, so voiding all evidence of foul play in only a couple of months, is rather good. 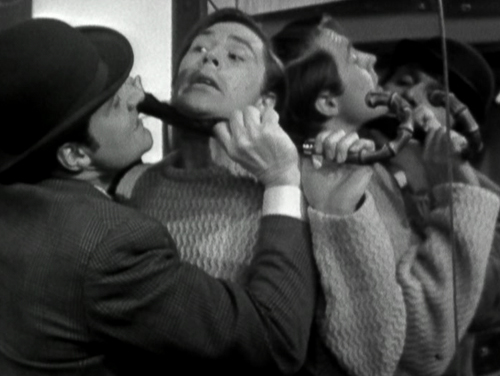 Also rather good is the cast, including John Le Mesurier (his first of two appearances in the series) and Philip Locke (his second of three, also familiar from the likes of Four to Doomsday, Codename: Icarus, The Box of Delights and Jeeves and Wooster) as schemers Dr Macombie and Hopkins respectively, Madge Ryan as their next client, Mrs Turner, George Benson as the daffy Rev Whyper, and Annette Andre (The Prisoner: It’s Your Funeral) as the girl in the cracker shop Steed chats up. 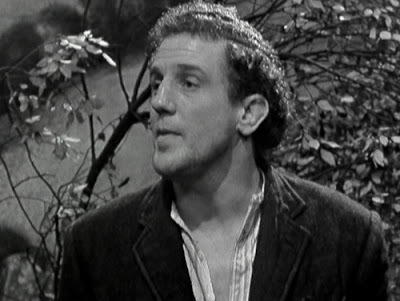 Oh, and Jackie Pallo as a cockney gravedigger who’s very willing to switch sides for £100 (a repeat of Death of a Batman there). This one’s diverting, well-acted and could slot relatively seamlessly into the following season, but what it lacks is the kind of eccentric humour that will become part and parcel; it’s more the scenario that is heightened, such that scenes where Cathy goes to see Macombie with a hockey stick injury are a bit on the “been there, done that” side, every week. 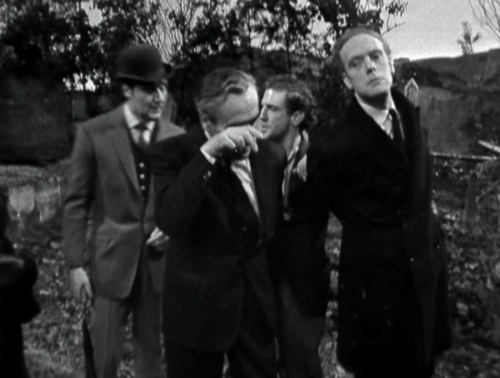 There’s a nicely hard-edged bit where Steed threatens a recent client (Robert Morris, Blake’s 7’s Traitor) with his umbrella, though, and the part two cliffhanger suggests the daffy vicar may not be so daffy after all (the pointed gun proves to be a water pistol, and he is frightfully concerned that the Congo children he is helping may be educated with blood money; I’m sure Cathy knows all about their plight first-hand, so can probably advise). Amiable, but just short of being a season frontrunner.